Enrique Iglesias is the King of Latin Pop. Having signed a $68 million record deal and sold more than 170 million records, he’s in a league of his own. Enrique is back with a tour that visits Birmingham’s Genting Arena tomorrow. And fans can look forward to a greatest hits set. It’s not easy for Enrique, the son of Julio, to juggle family life with a life on the road. He’s the partner of former Russian tennis star Anna Kournikova, who has been the world’s number one player in previous year. With Martina Hingis as her partner, she won Grand Slam titles in Australia in 1999 and 2002, and the WTA Championships in 1999 and 2000 and they referred to themselves as the Spice Girls of Tennis. Enrique and Anna had twins in December 2017, and he says they bring him great joy. “It’s incredible to keep babies smiling and laughing. If you can get both of them at the same time it’s rare. Usually one is crying and the other one is laughing. When you get both of them giggling and smiling and paying attention it’s incredible. It makes your day. It makes your week. Enrique does all he can to be a supportive partner. Everything changes when you become a parent and Enrique says his life has turned upside down. It’s tough between work schedules and being parents to make time for date nights. But Iglesias manages to keep his relationship on track. He’s not sure that Anna and the babies will join him on tour because he doesn’t want them to be disrupted and he also wants to focus on giving the fans a great time. Aside from music, Enrique has a restaurant called Zela in London with Cristiano Ronaldo and Rafael Nadal. They’re into their third year together and he enjoys having different challenges. 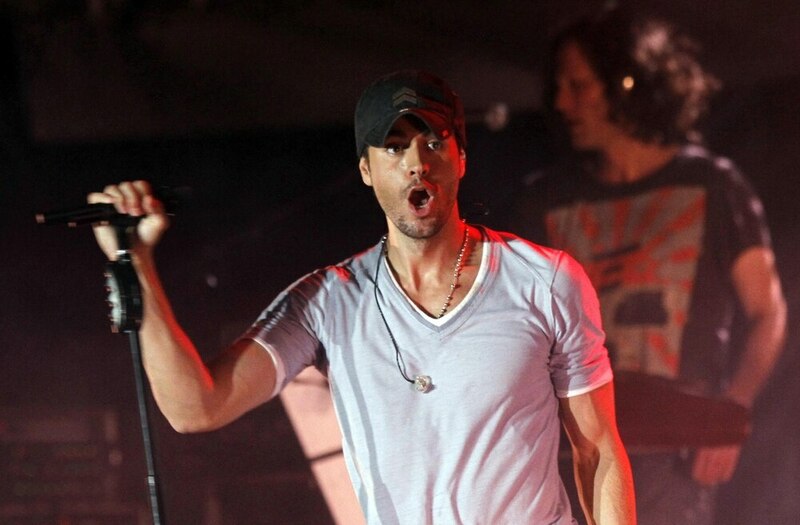 Enrique already has plans beyond the tour and hopes to get back into the studio to make more new music.